Welcome to the PA Dems Veterans’ Caucus page! We are a group of Veteran’s and family/friends of Veterans who are strongly advocating for Veteran’s in the Commonwealth of Pennsylvania. 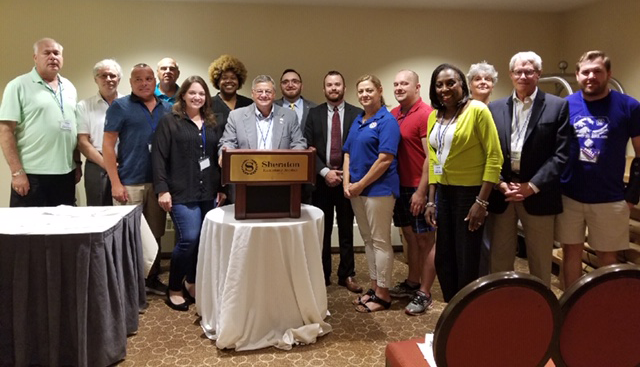 The Veterans Caucus is dedicated to representing Pennsylvania Democrats who have served, or are serving, in our nation’s armed forces and their military families. Please visit and like our Facebook page @PADEMSVETSCAUCUS. Board Members: James Donnelly, Miles Newell, William Shilling. It shall be the Mission of the Caucus to work within and through the Democratic State Committee, providing a strong voice and representation within the party; and promoting support and acting as liaisons for members of the military, veterans and their families both through effective legislation and encouraging them to participate as Democrats at all levels of policy making and public service.